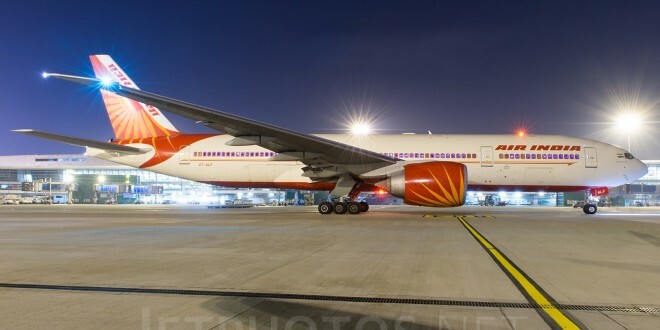 After selling off five of its Boeing 777-237LRs to Abu Dhabi based Etihad Airways PJSC (read our analysis), national carrier Air India has put the last three of its ultra-long-haul 777-200LRs up for sale. 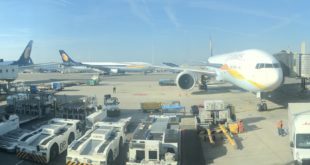 The airline has posted a tender (view it here), inviting bids for the aircraft bearing registrations VT-ALF (named after the state of Jharkhand), VT-ALG (Kerala), and VT-ALH (Maharashtra). Air India Boeing 777-237LR VT-ALG Kerala on short finals to runway 27 at Mumbai airport. Photo copyright Prathamesh Kini, all rights reserved. Do not re-use or re-produce. Used with permission. 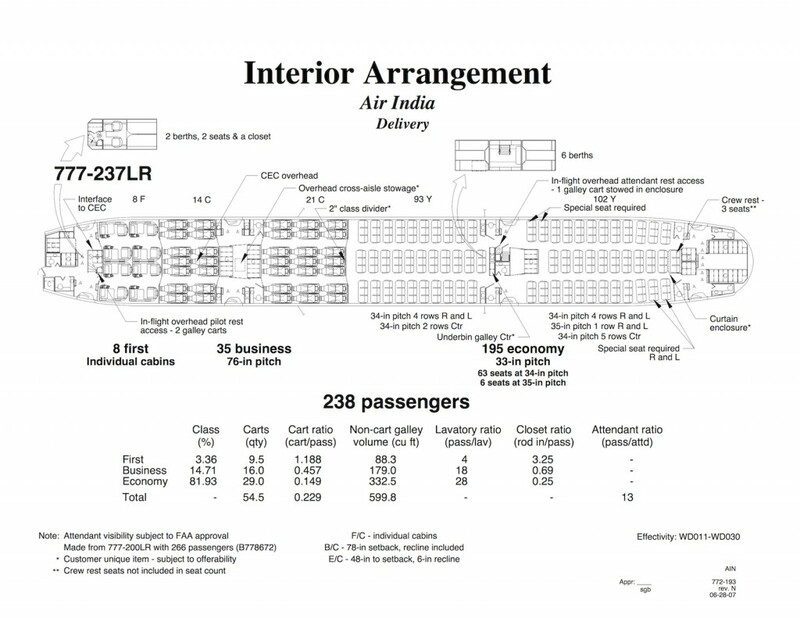 Amongst the tender documents is a LOPA diagram (layout of passenger accommodation) which shows the generosity of the airline with an industry leading 34″ to 35″ seat pitch in economy class compared to 32″ to 33″ for most other airlines. This enables other airlines to offer about 12% to 17% extra seats in the same 777-200LR aircraft. 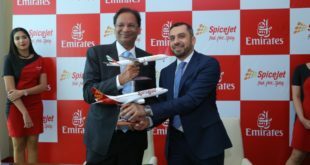 Any potential buyer will surely look to reducing this seat pitch to add more seats, and this would require another re-certification of the aircraft and its added expense. Air India Boeing 777-200LR aircraft LOPA diagram. With only 195 seats, AI economy class capacity is 12% to 17% lesser than other airlines’ B777-200LRs. 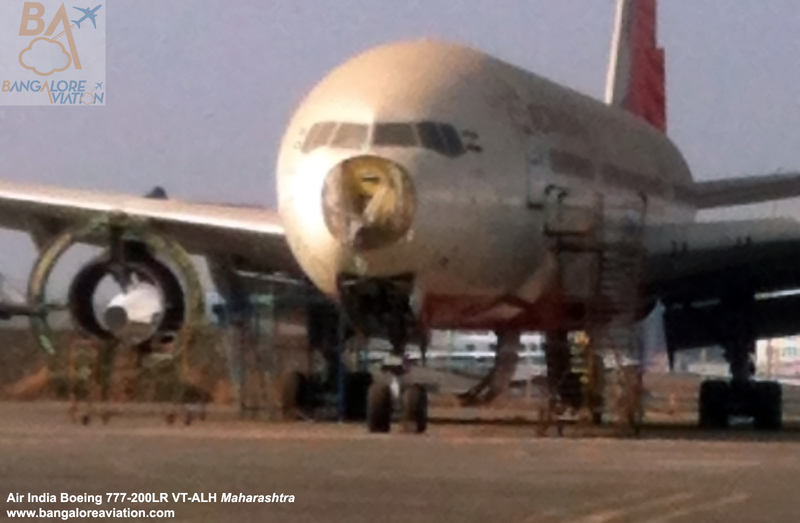 About three weeks ago, Bangalore Aviation published exclusive photos showing VT-ALH, the newest of the three Boeing 777-200LRs in Air India’s fleet lying outdoors at Mumbai airport in a dilapidated condition. (Read story and see the photos). 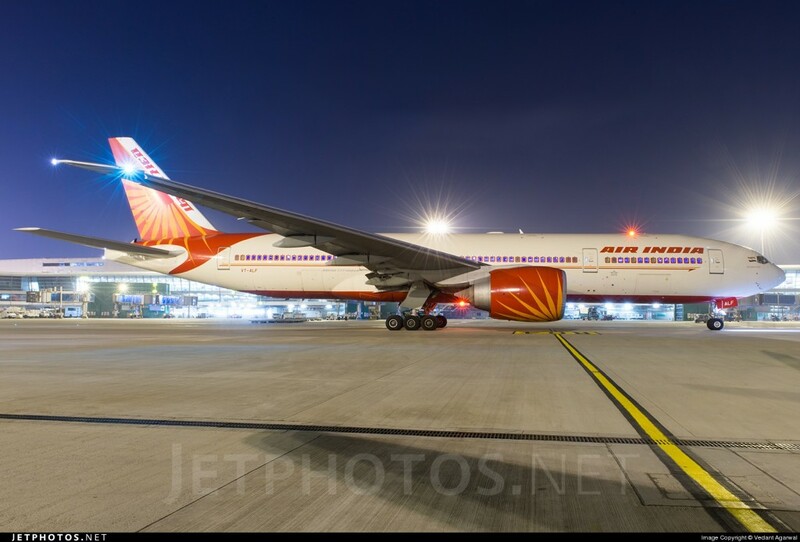 The story invited a lot of speculation as to why Air India would strip parts from its newest aircraft in order to fit on to its older aircraft? While we clarify that changing of parts between aircraft is an accepted and common practice in the industry, it is normally the older aircraft that is cannibalised in order to keep fit the newer asset. 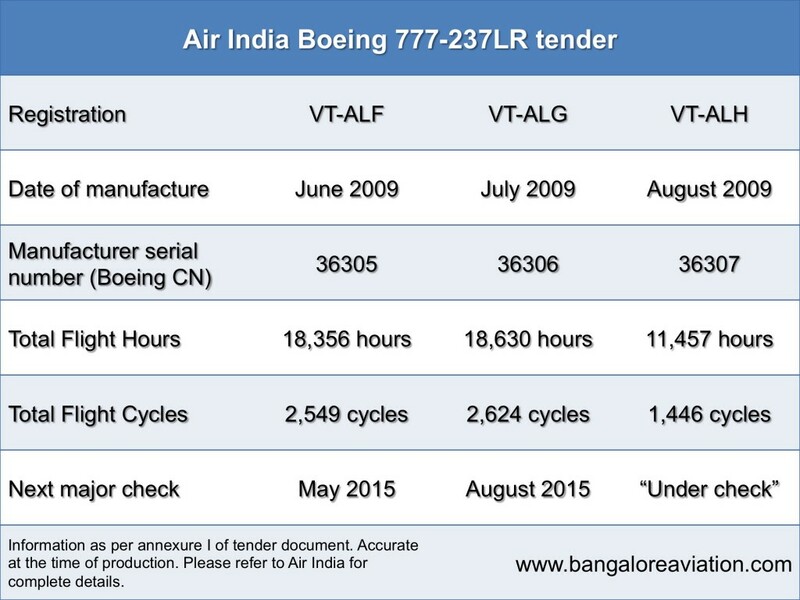 From the aircrafts’ specifications in the tender, we see that VT-ALH has a little over half the flying cycles (landings and take-offs) compared to its earlier two siblings VT-ALF and VT-ALG. 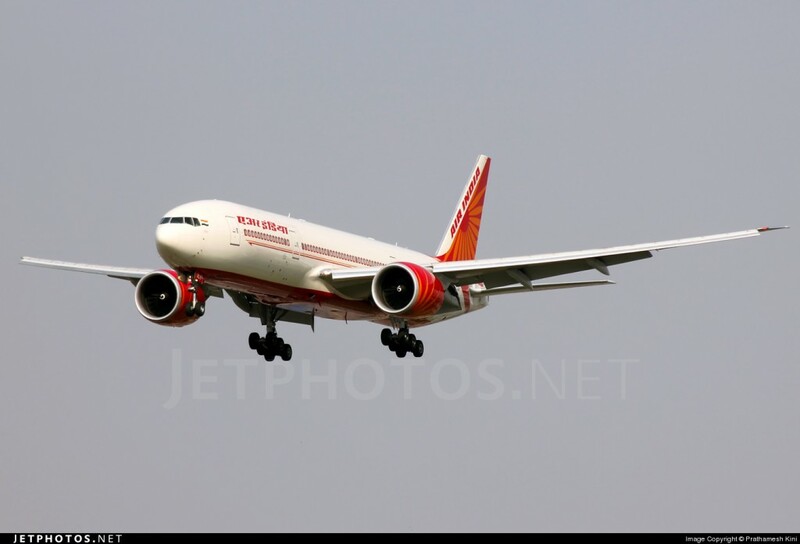 Aircraft flight hours and flight cycles Air India Boeing 777-237LR VT-ALF, VT-ALG, VT-ALH. One can also observe the extreme short stage lengths of about seven hours each on these aircraft (flight hours divided by flight cycles). The 777-200LR is purpose designed for ultra-long-haul (ULH) flights of 16 hours and greater. 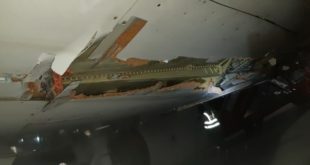 Also very curiously, while the airline claimed the aircraft was “in storage” three weeks ago, the tender document dated April 17th claims the aircraft is “Under Check”? Conclusions are for you, dear reader, to arrive at and share via a comment.